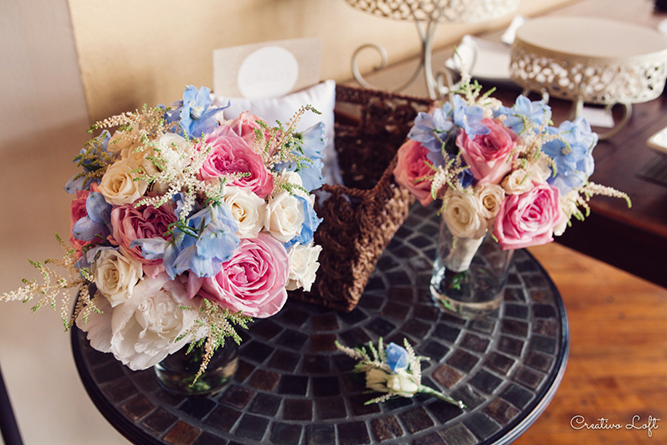 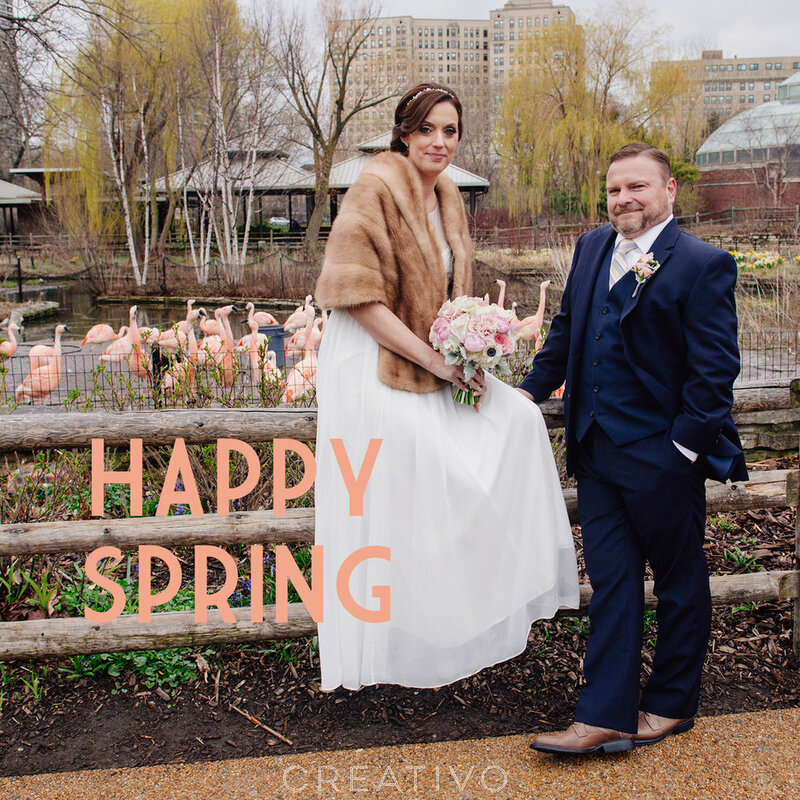 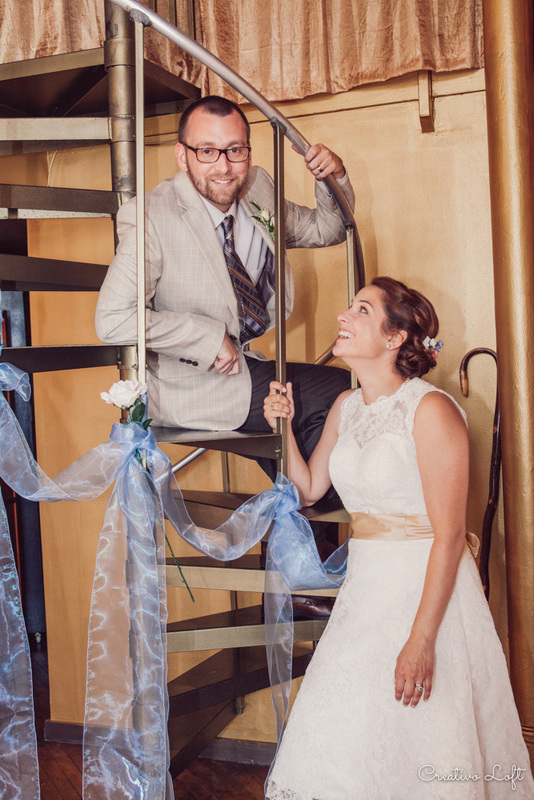 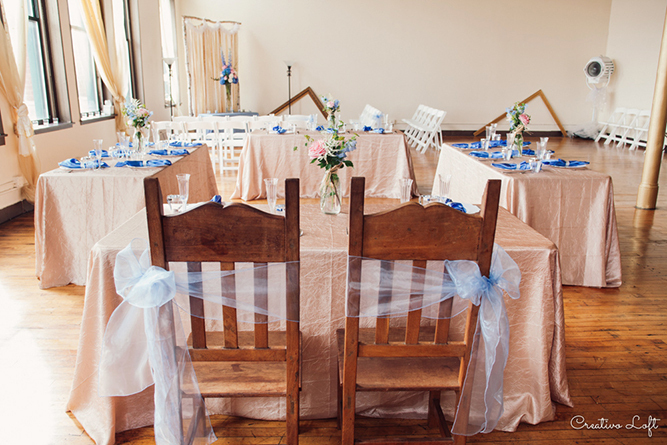 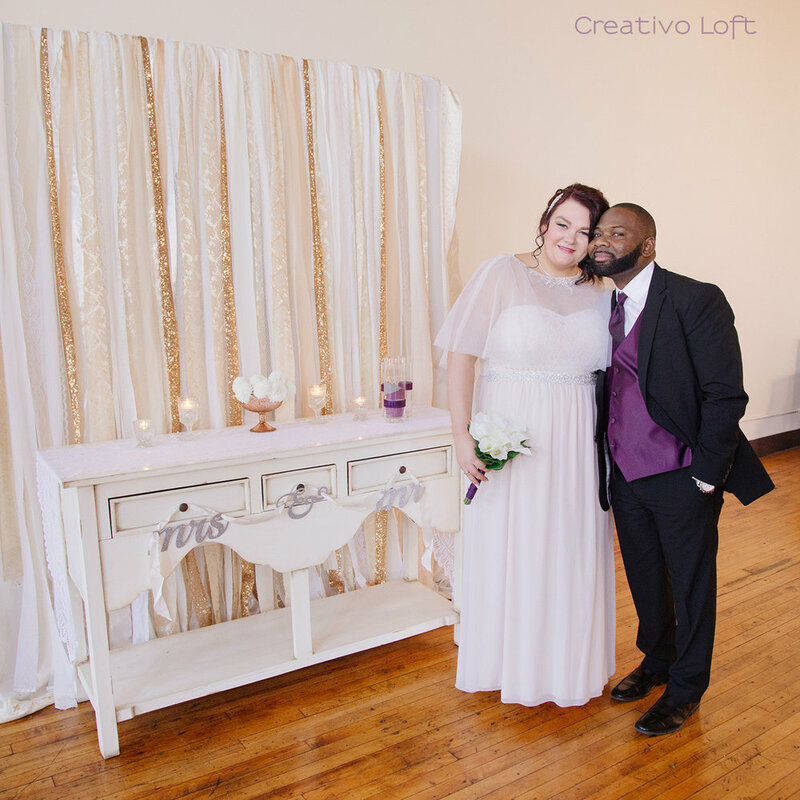 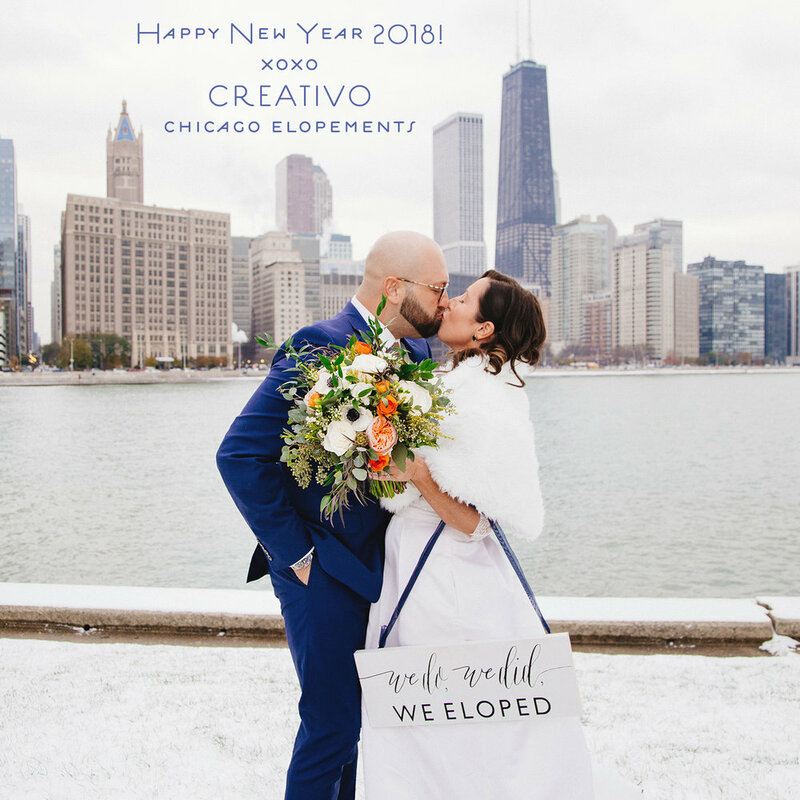 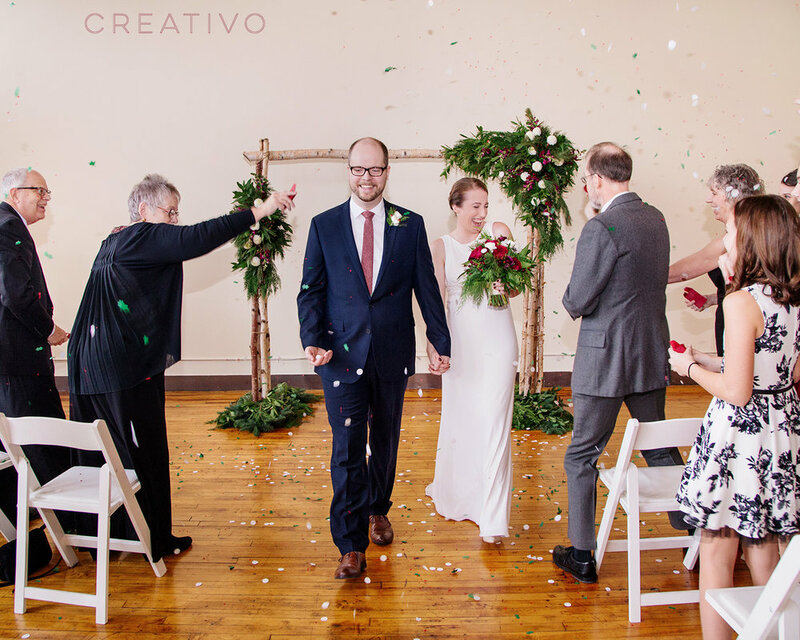 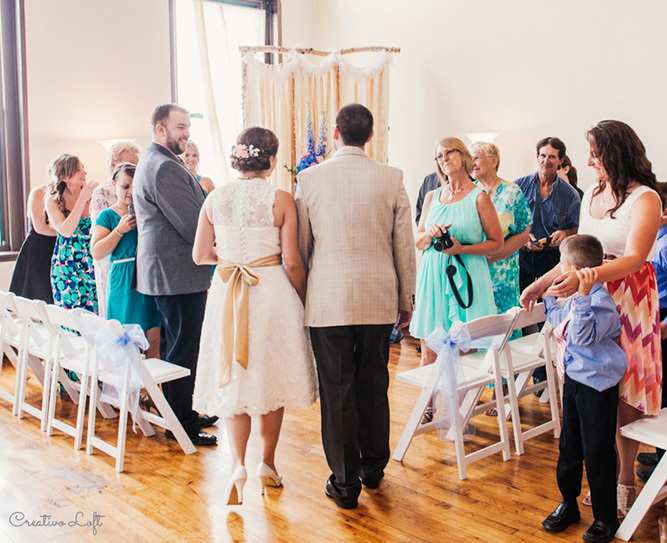 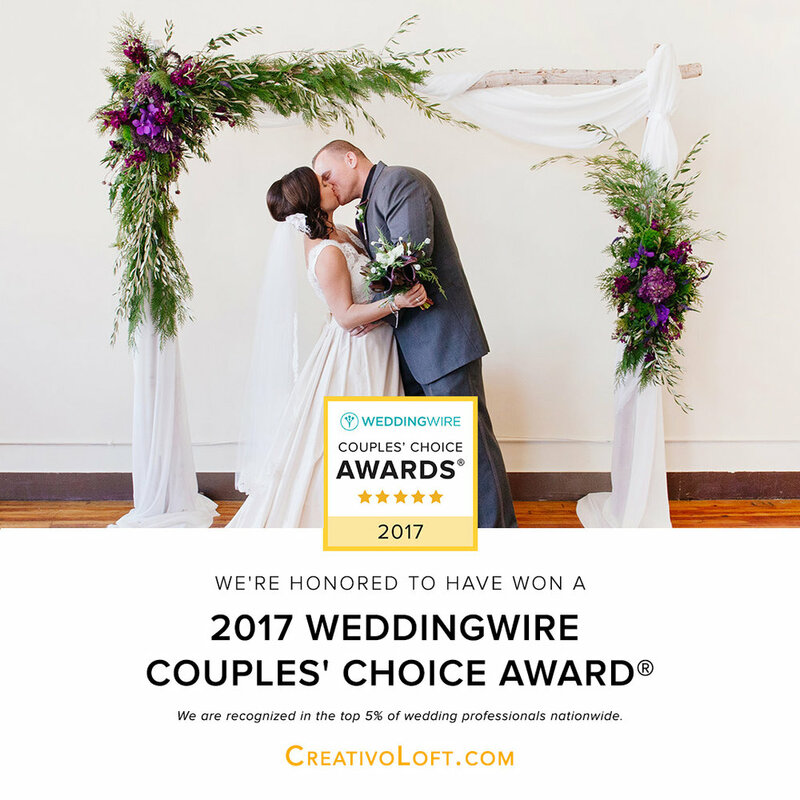 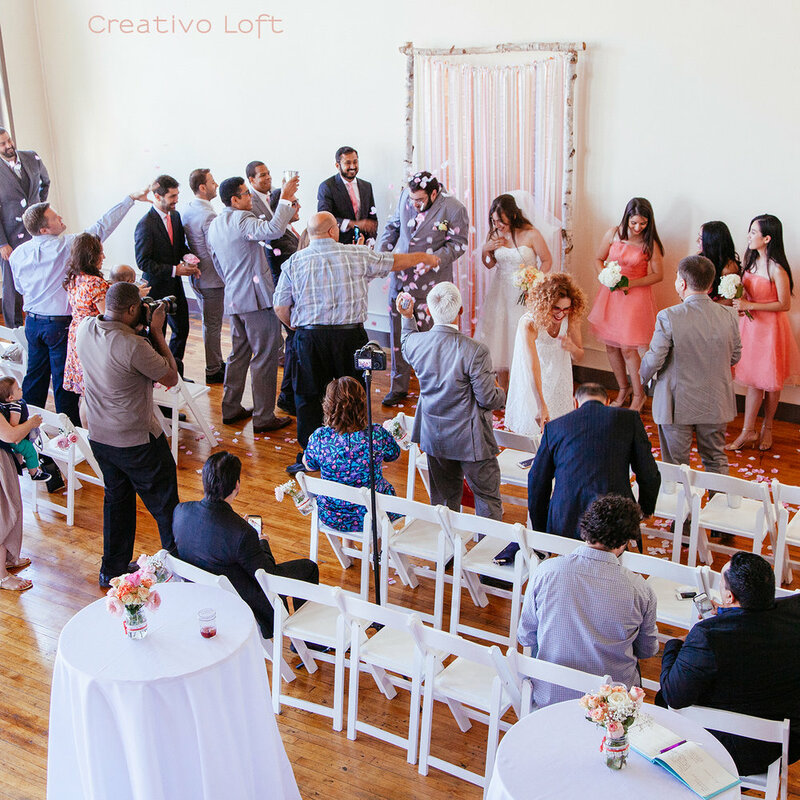 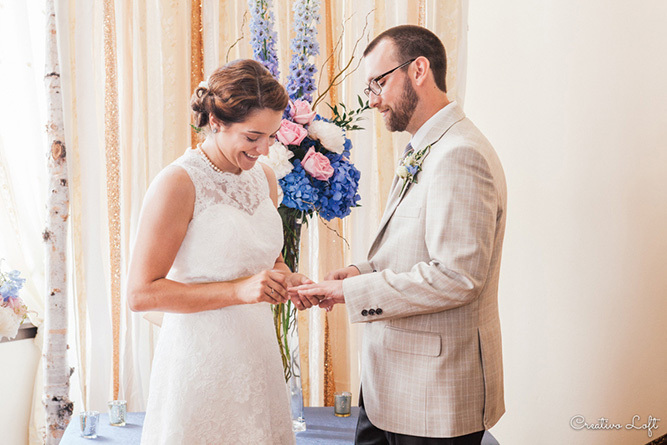 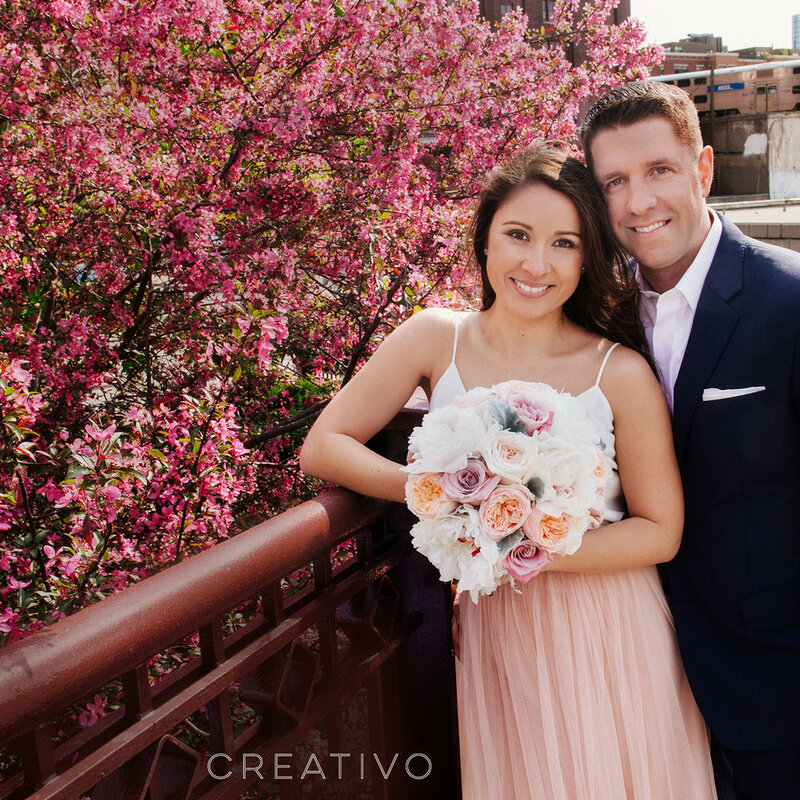 Katie and Mike celebrated their wedding at Creativo Loftwith travel inspired details, with color accents in periwinkle and blush. 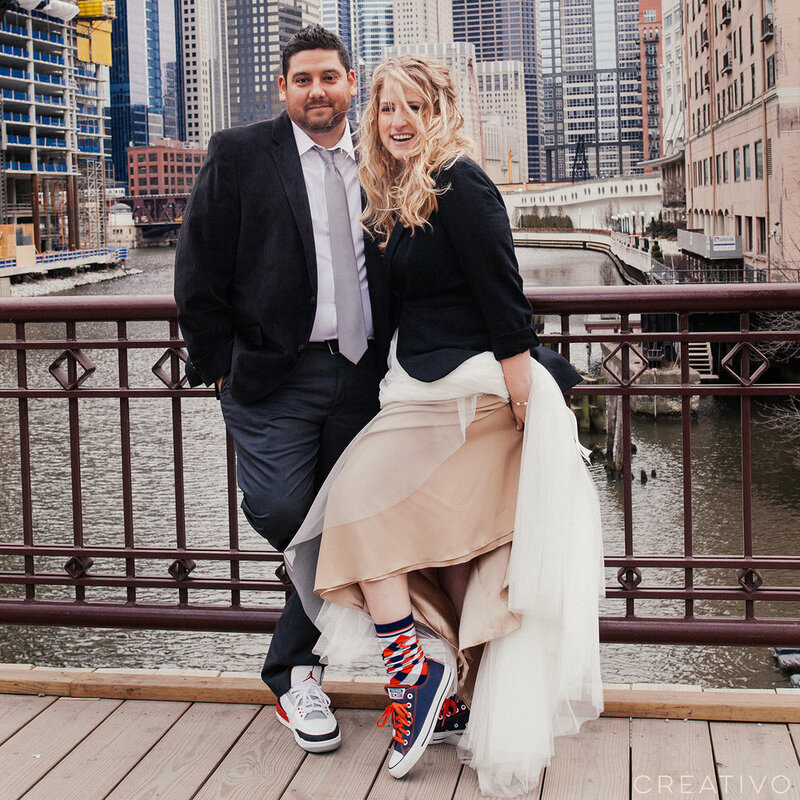 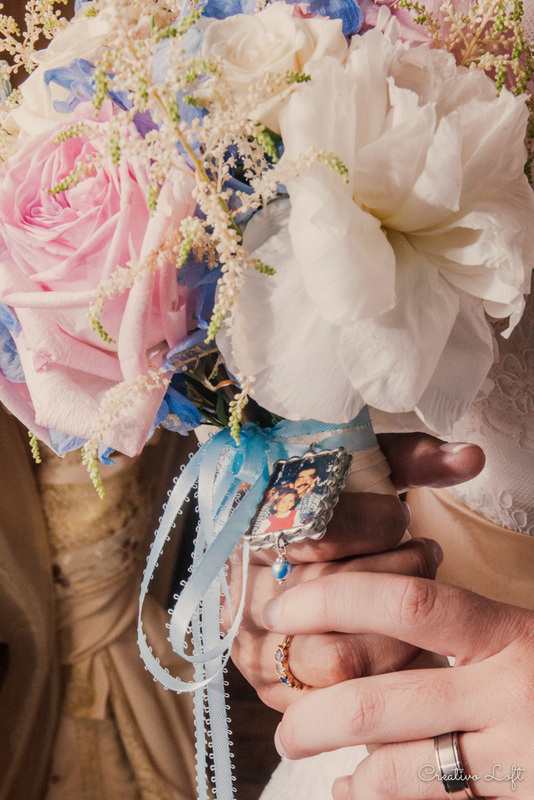 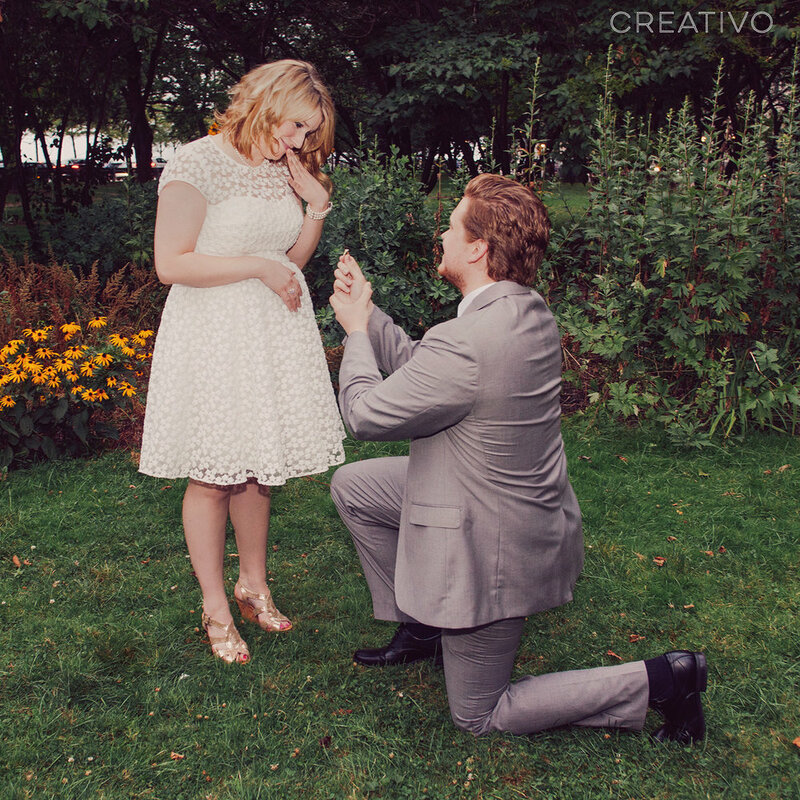 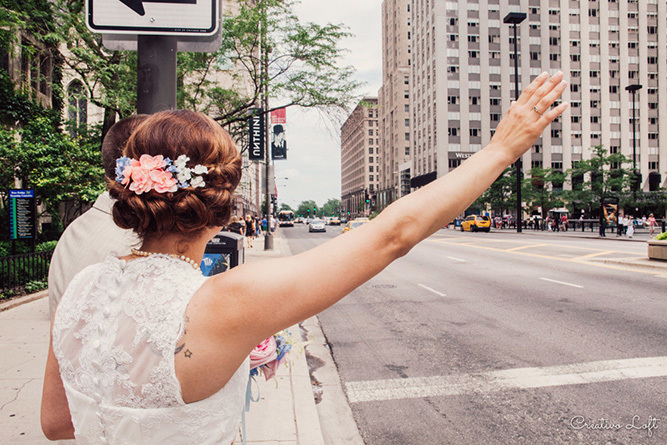 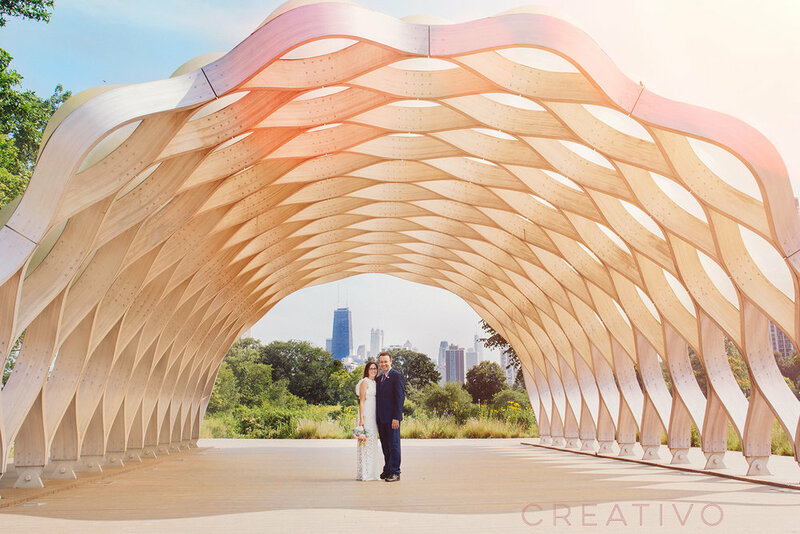 The couple traveled from Kentucky for their destination wedding in Chicago. 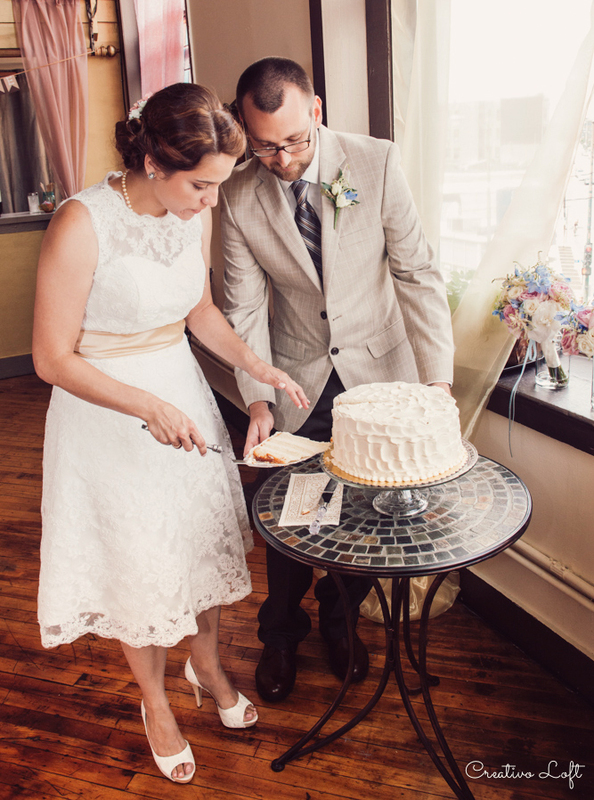 The bride's vintage style lace detailed dress and light champagne sash was adorable. 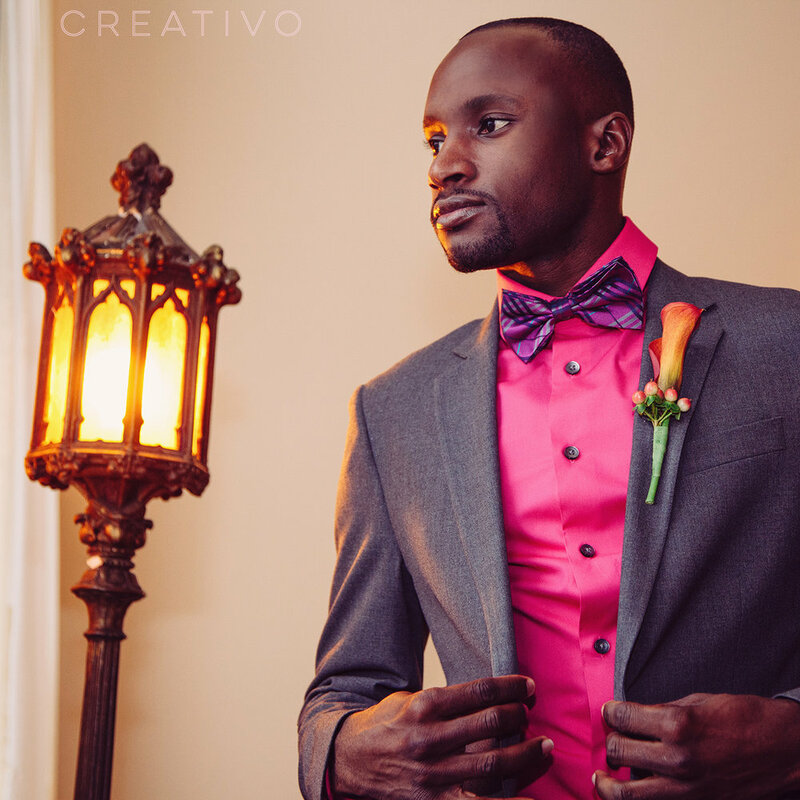 The groom was looking dapper too in his summery beige jacket and geometric brown, beige and blue hued tie. 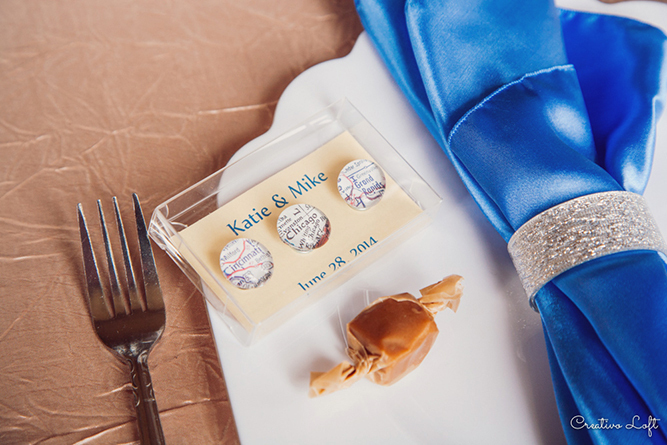 For their travel accents, the couple gave map magnets to their guests showing three cities of significance to their lives. 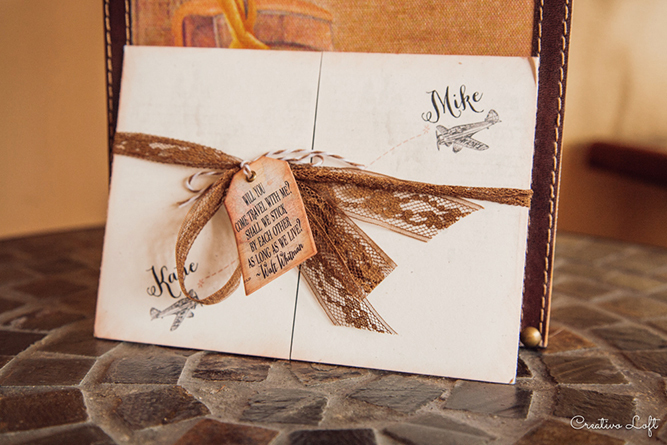 The invitations and card box incorporated vintage style map and travel graphic designs. 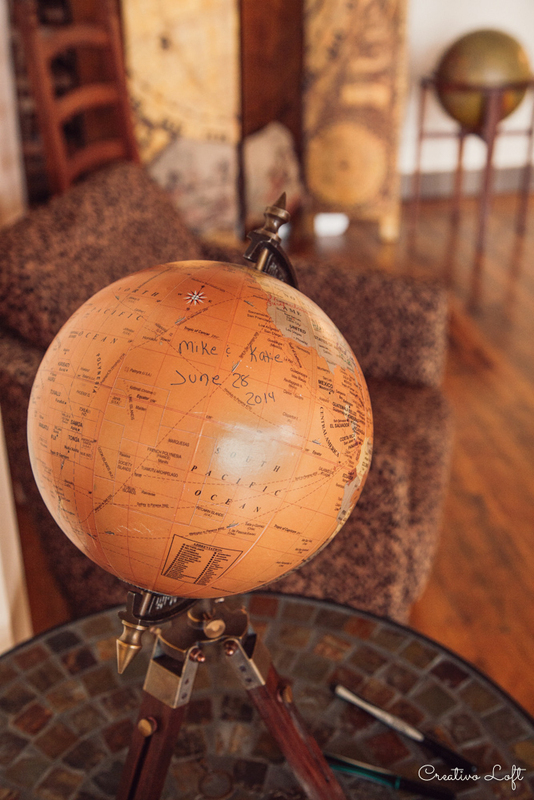 And, instead of a traditional guest book, they used a golden-toned vintage globe for their guests to sign. 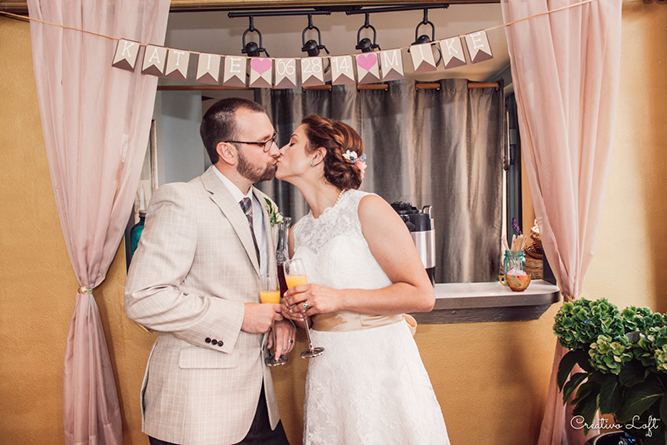 Congratulations to the lovely newlyweds Katie and Mike! 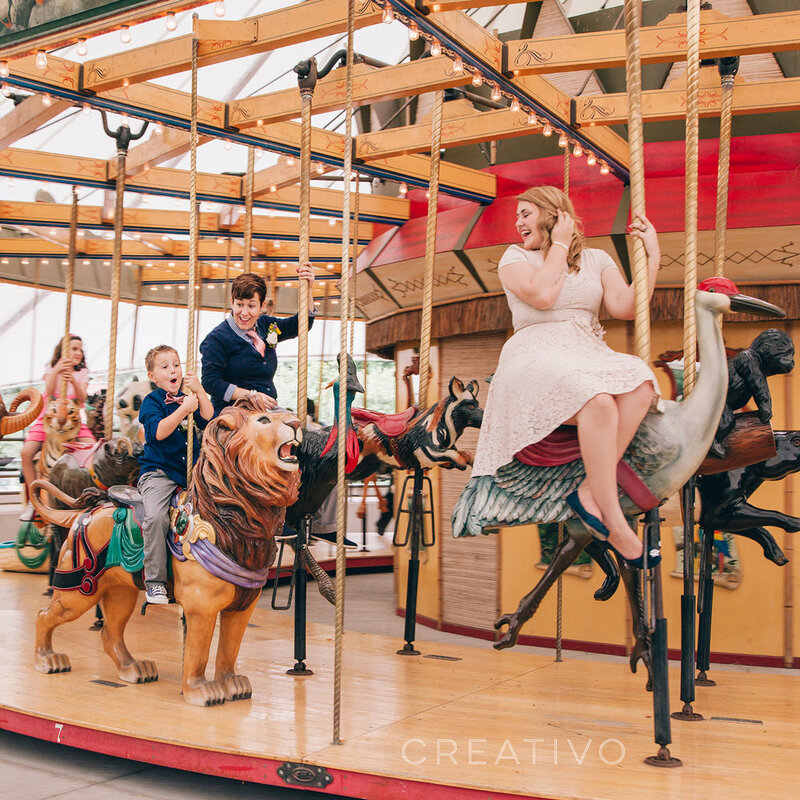 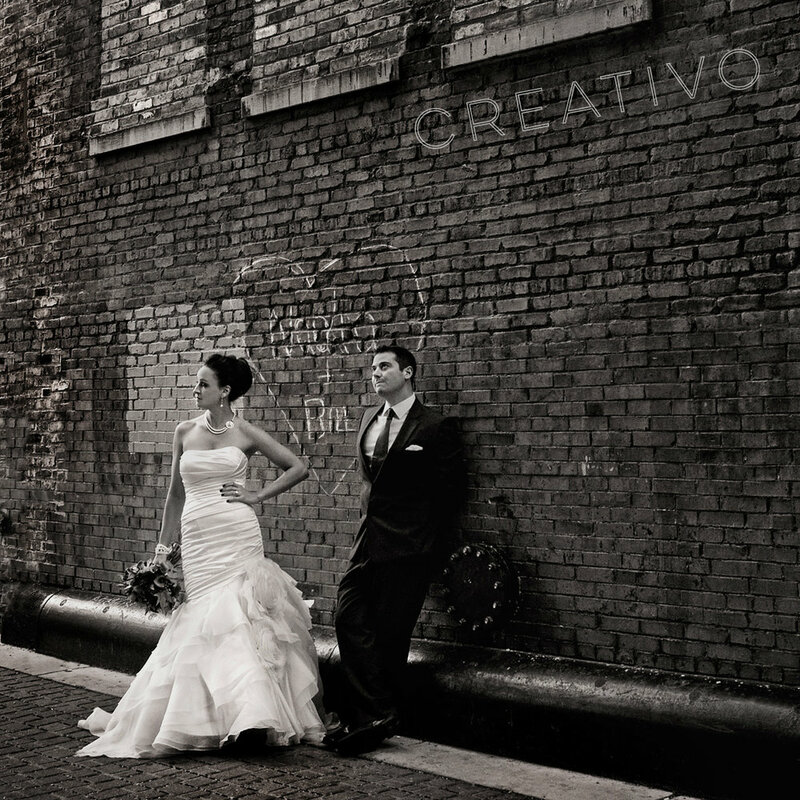 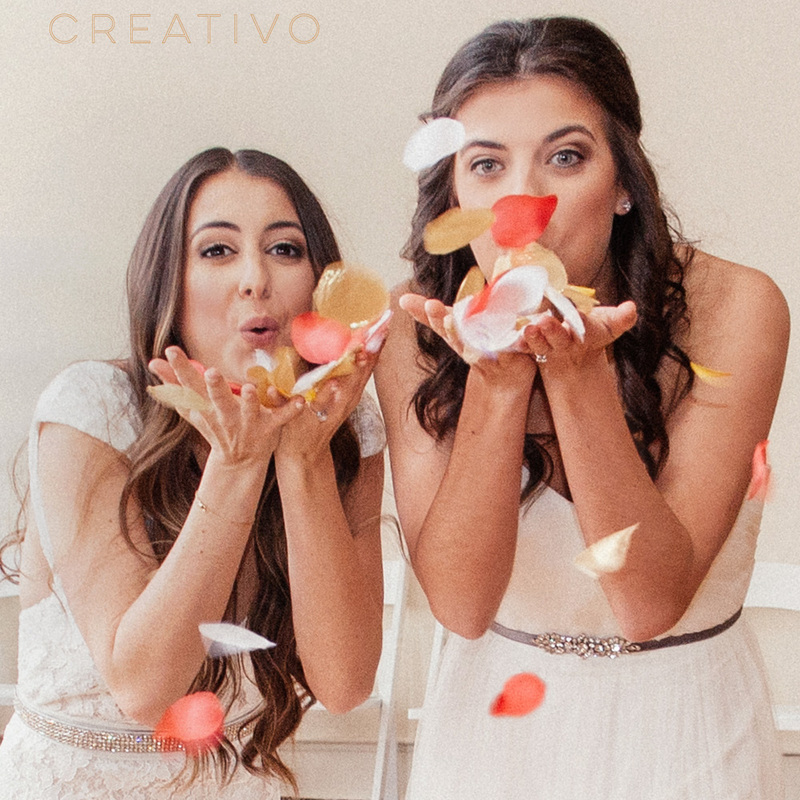 See more photos from this wedding featured on our main website creativoloft.com. 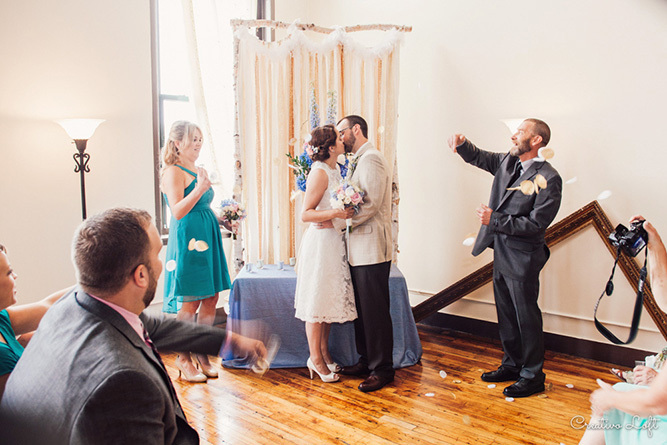 See more photos from Katie and Mike's wedding featured on our main website creativoloft.com.